My Art Works represents our language, our culture, and our identity. This, I would share with the world, and beyond. Reynold Collins, Tsimshian Nation. Reynold was born and raised in Port Essington BC (Spokechute) on the mouth of the Skeena River (Kshian) and belongs to the Killer Whale Clan (Gispudwada) of the Tsimshian Nation with family ties to Kitselas and Wet Suet-en Nations. He began his art career seriously only after he retired from a long career of commercial fishing and contracting. Reynold has fished, hunted and gathered traditional foods in the ways of his ancestors still preserve today. The ancestral basis for Reynolds artwork has come from constant exposure to a body of experienced First Nations artists including Father Gus and brother Art Collins, Uncle Cliff Bolton and brother in law Mr. Stan Greene to name a few. Reynold now lives a retired life in Chilliwack B.C. on the Skowkale Reserve with his wife. His art is now his passion and he carries on his Tsimshian traditions, culture and spirituality through his work. 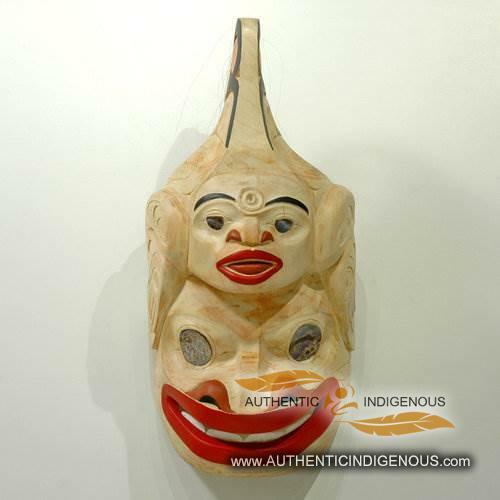 He says “My dream is to interpret our language and stories through my art.” Reynold is also a graduate of the Freda Design School of Northwest Coast Fine arts under the tutelage of instructors and world renowned carvers, Mr. Stan Bevan, Mr. Ken McNeil and Mr. Dempsey Bob.